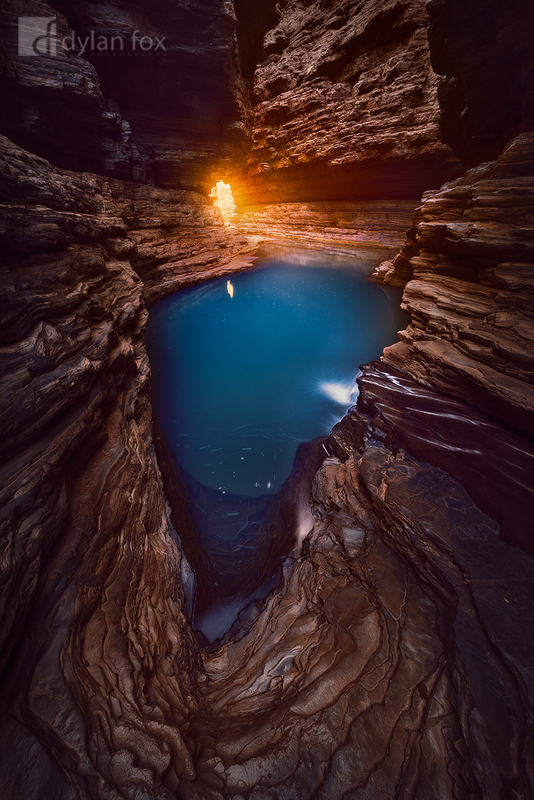 Karijini National Park is one of my favourite places to photograph. It is an absolute jewel in the harsh outback landscape that is the Pilbara region of Western Australia. Of all that Karijini has to offer, Hancock Gorge, is one of my favourite parts of the park. Rising before sunrise to enter the gorge was essential for me to get the beautiful glowing light at its peak. This also allowed me to have the whole gorge to myself for a few hours before seeing another person. This natural pool has a rich colour and is appropriately named, Kermits Pool. This spot was a perfect escape from the heat above. An incredible natural pool, deep beneath the harsh landscape above. A whole other world. Secure your limited edition, Karijini photographic print, 'Beneath A Barron Land', by selecting your desired print size in the menu to the right.